It wouldn’t be a real fiesta without a frozen beverage to wash it all down! Introducing Teddy’s Shake of the Month – Piña Colada or Haupia. 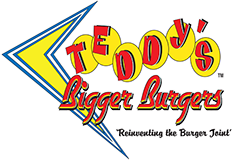 As always, Teddy’s signature shakes are packed with 5 scoops of locally made ice cream. Added to this months shake, pineapple juice and fat-free milk blended in yielding an EXTRA THICK and creamy shake!